This one, from a lower angle, was taken from a departing boat excursion to Rostock. Another dramatic angle from nearer water level. 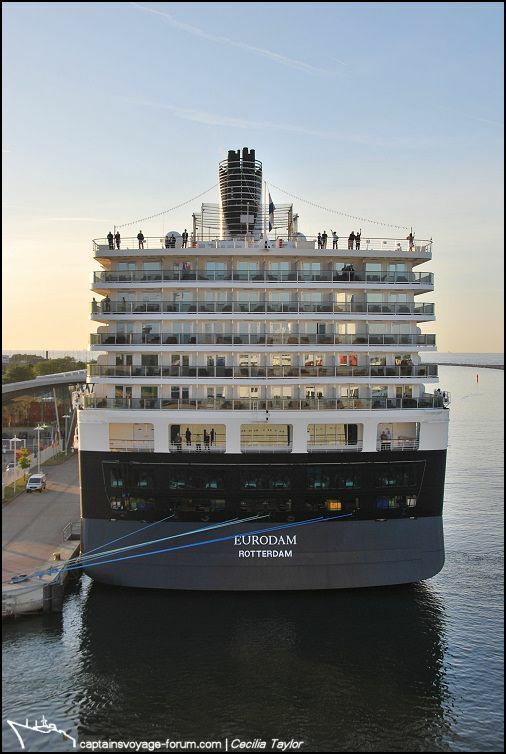 There were more photo opportunities as Discovery left port before Eurodam. Taken just before the previous two photos, I have left this till last – Eurodam looking creamy coloured in the soft evening light. A nice way to end this picture set. 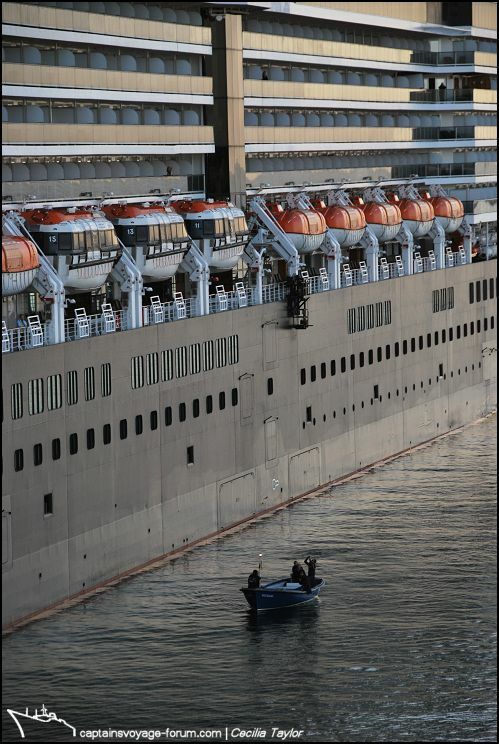 this was our first vessel that we went to see,she was brand new and came into Rotterdam for cristening by Queen bea. from the angle at 86/1 she issn't looking so bad. HAL still uses 2 funnels,but i rather seen them bigger and further away,more like the historic vessels. when will a architect stands up and say,''i wanted a old school stern''. and indeed a very nice soft color over her. Wonderful photography, just what I would expect from my darling Lady C! 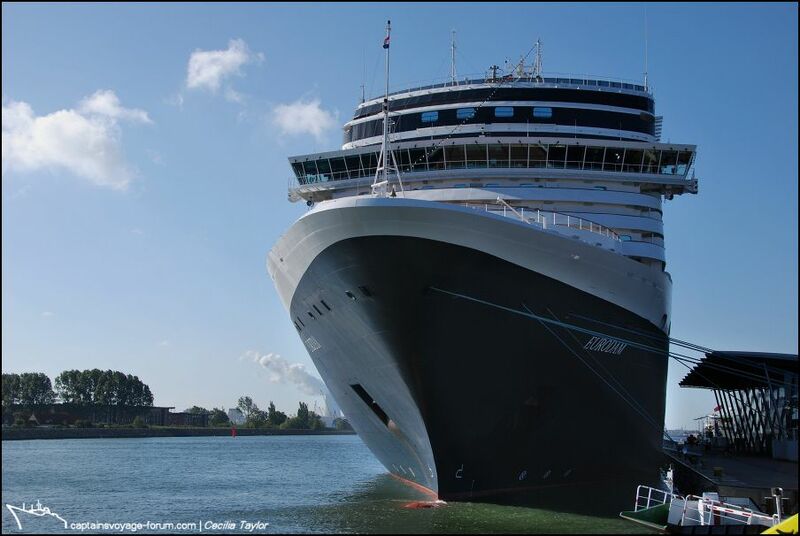 MIAMI, Oct. 26, 2012 /PRNewswire/ -- Carnival Corporation & plc (NYSE/LSE: CCL; NYSE: CUK) today announced it has reached an agreement for the construction of two new cruise ships – a 99,000-ton ship for its Holland America Line brand and a 135,000-ton vessel for its Carnival Cruise Lines brand. 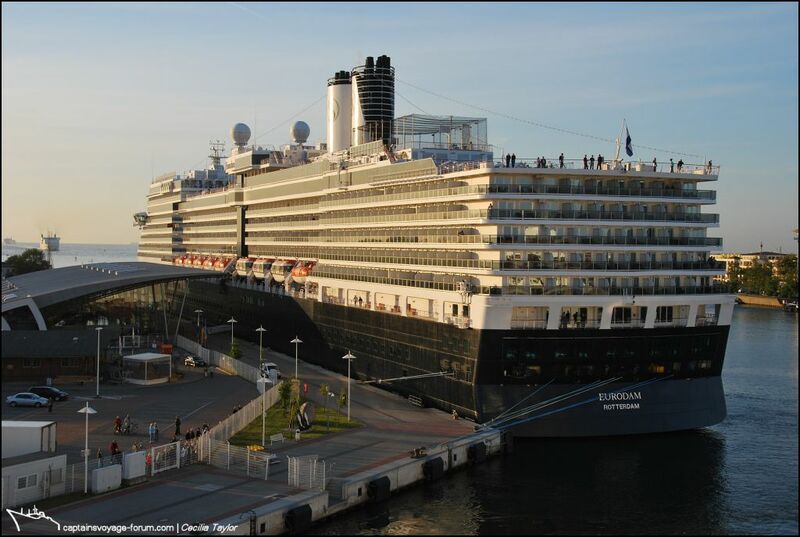 A memorandum of agreement has been signed with Italian shipbuilder Fincantieri for the construction of a 2,660-passenger ship for Holland America Line scheduled for delivery in fall 2015 and a 4,000-passenger ship for Carnival Cruise Lines scheduled for delivery in winter 2016. The total cost for the two vessels combined, which includes the U.S. dollar denominated contract price and all owner's costs, will be approximately $195,000 per lower berth. The memorandum of agreement is subject to customary closing conditions, including execution of shipbuilding contracts and financing. 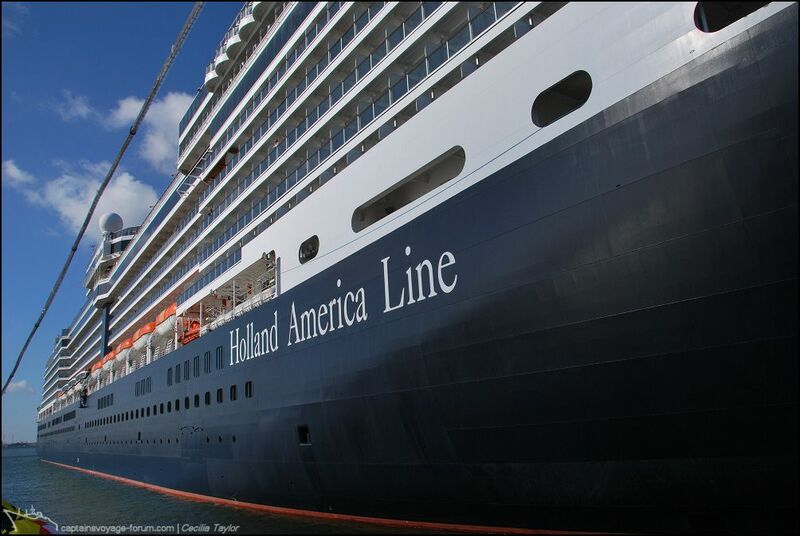 The Holland America ship, which will be a new class of vessel for the line, will enter service five years after the last Holland America ship, the ms Nieuw Amsterdam, delivered in 2010.
s.s. ROTTERDAM ( V ) Builder RDM Rotterdam sea trials 1959. 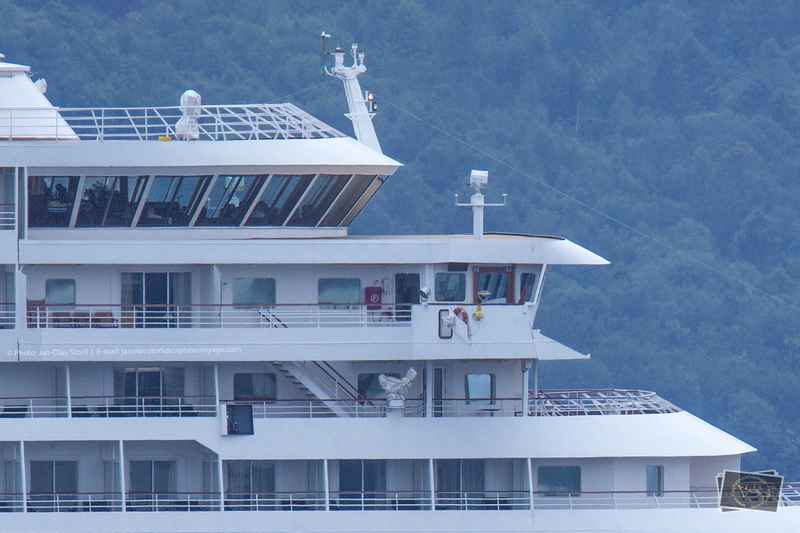 Last edited by brander; November 24th, 2012, 17:22.
carnaval had ordered a second vessel of the pinnacle type. I could have placed this in the veteran-ship section of our forum, but I found it more appropriate to place it here. Came across these images which I had never seen before, and wanted to share the link where I found them. These are truly sad images to say, but I think also historically important in their own way.